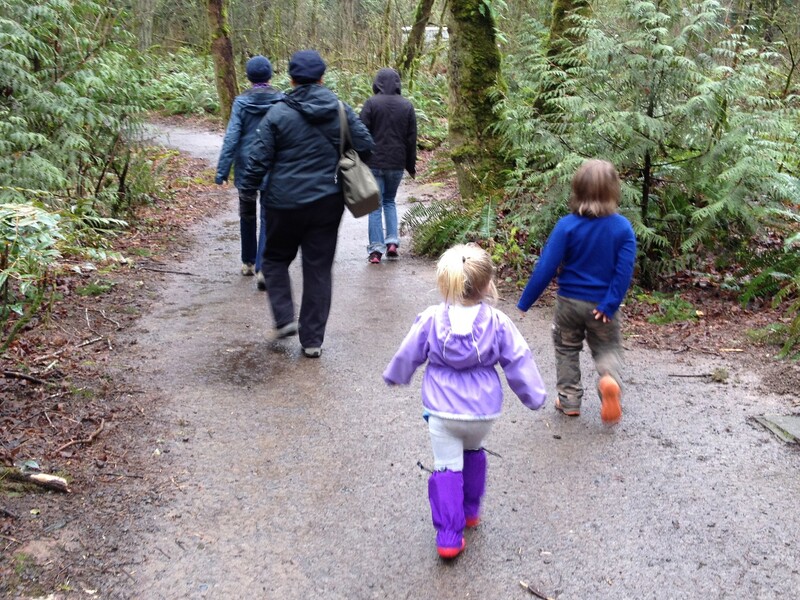 A little boy without proper boots wanted to follow his big brother in the rain. Too many puddle jumping sessions had been cut short by face-plants in the water because of bulky, clunky rubber boots that were too big, too heavy and made him trip. There had to be a better boot, so we created one and MyMayu was born. This sounded like something we needed to try! 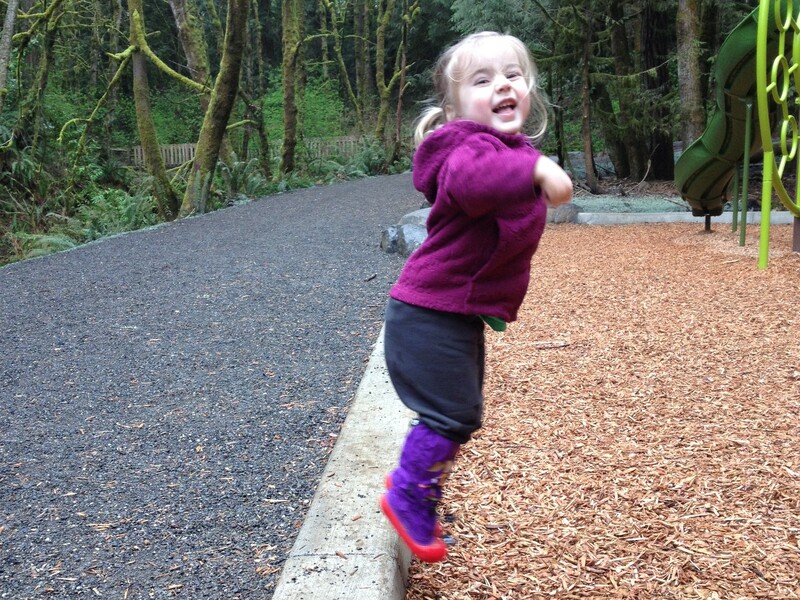 MyMayu describes their Muddy Munchkin rain and outdoor toddler boots in a variety of ways: waterproof, durable, collapsible, lightweight, flexible, seasonal, secure, functional, and fun. And after taking my daughter out on several outings with her purple and red boots (adorned with a gardening girl), they do indeed fit all these descriptions. What I like most about them is their flexibility. 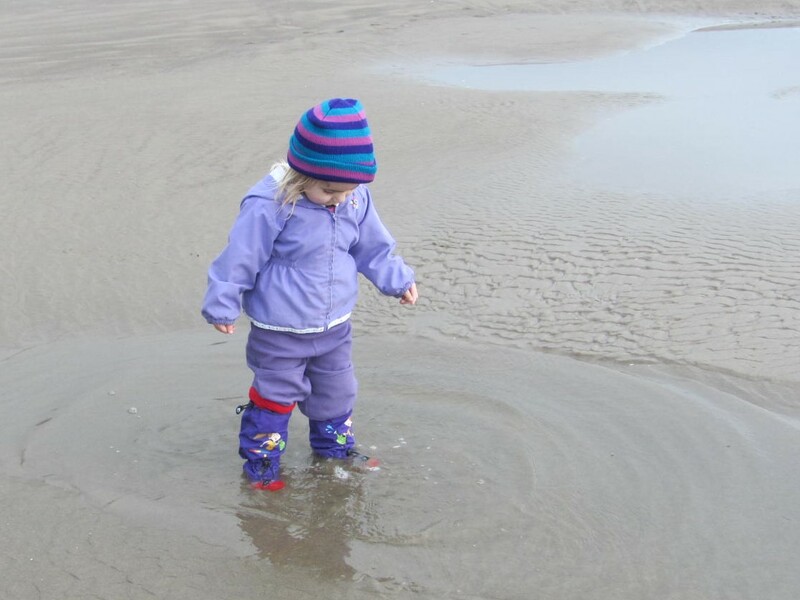 Unlike rigid rubber boots, MyMayu toddler boots are mostly a movable, waterproof, and breathable coated nylon that forms to a child’s movements. The only more solid part of the boot is the bottom around the foot, which is understadable. 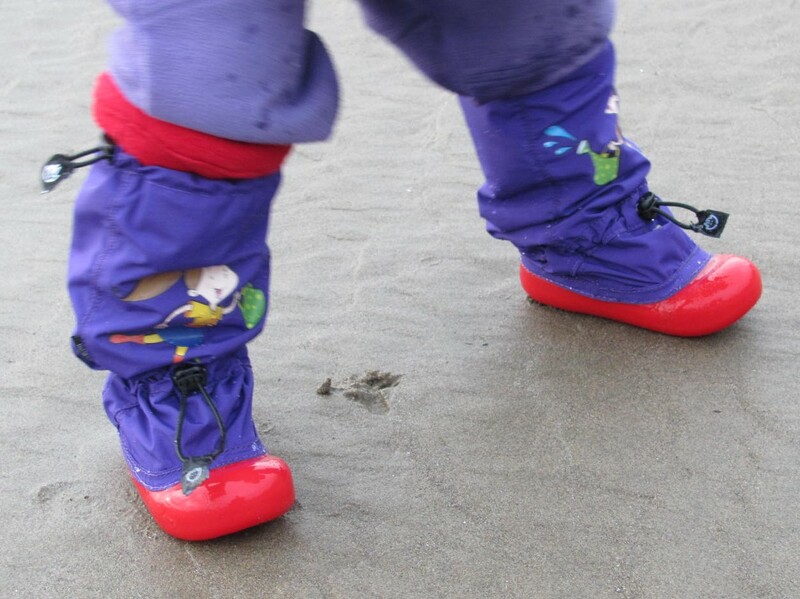 The other aspect which makes these boots unique is that you can seal the upper part closed tight with elastic above the ankle using a toggle and cord, so as to keep what’s inside – your toddler’s precious little feet and toes – as dry as can be. Another toggle and cord tightens around the ankle to help keep the boots from slipping off. Liners made from polyester fleece can also be purchased to provide some warmth. If there’s one downside that I’ve experienced, it’s that the boots are initially a little difficult to get on. It seems that there’s a little struggle to get my daughter’s foot down into the boot completely. I’ve had to have her jump in place to work her little feet down. 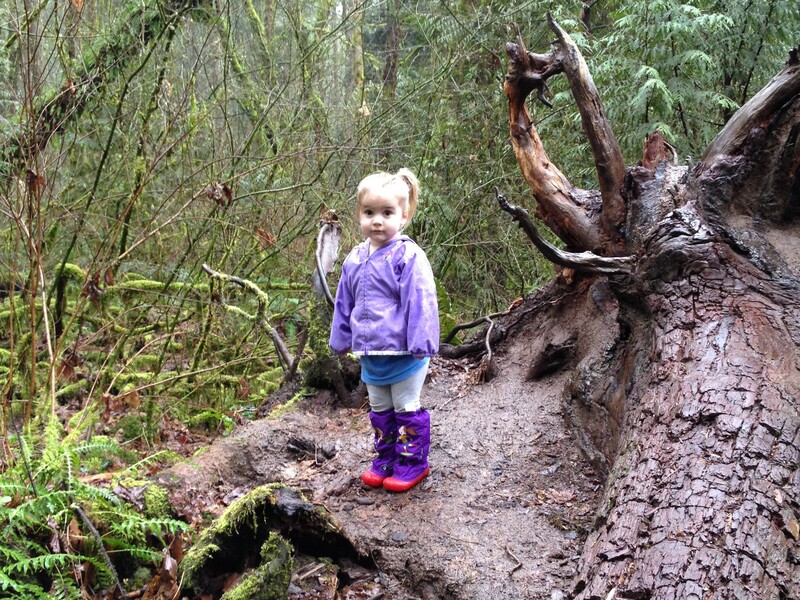 But then again, don’t most rubber boots take a little effort to get on kids’ feet? 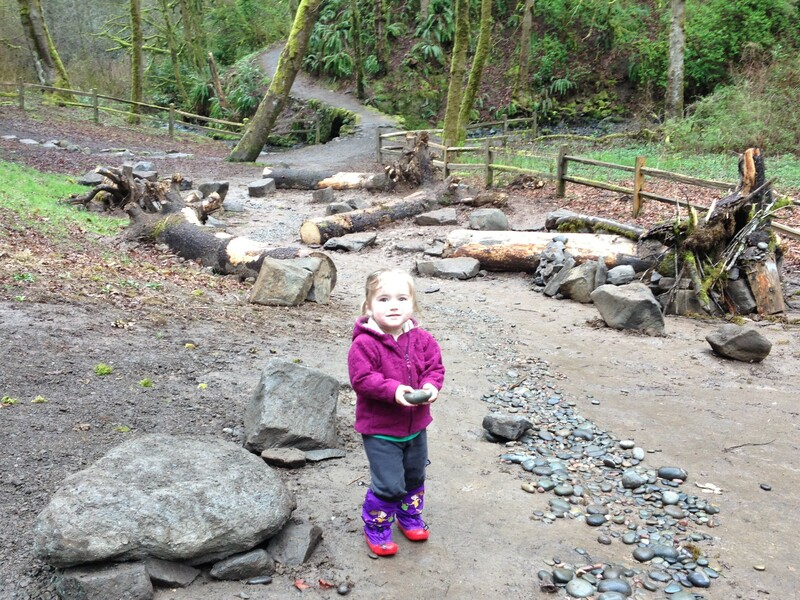 We are so far enjoying these unique and practical boots on some of our Portland explorations this winter. It’s been a rather dry winter, so with a hopefully rainy spring approaching, we’ll have more opportunities to use them. 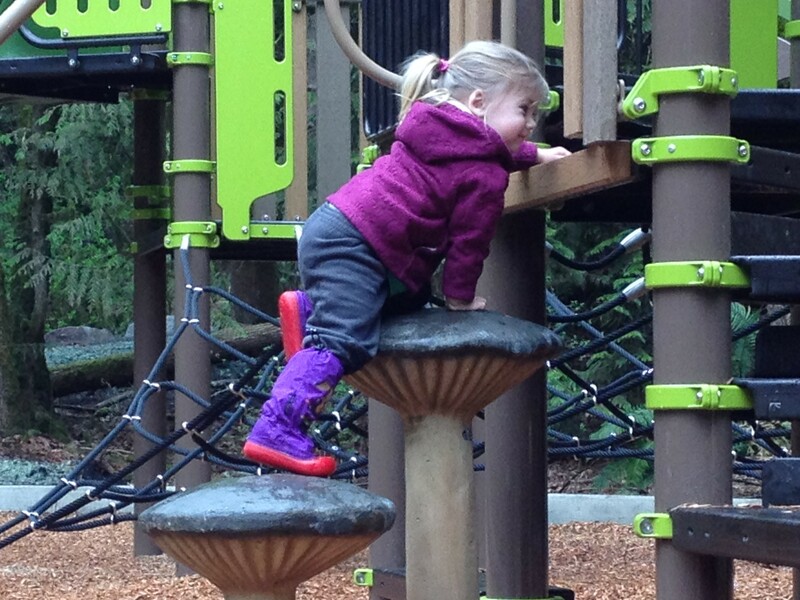 But they are just as much for playing outside on non-rainy days, too. 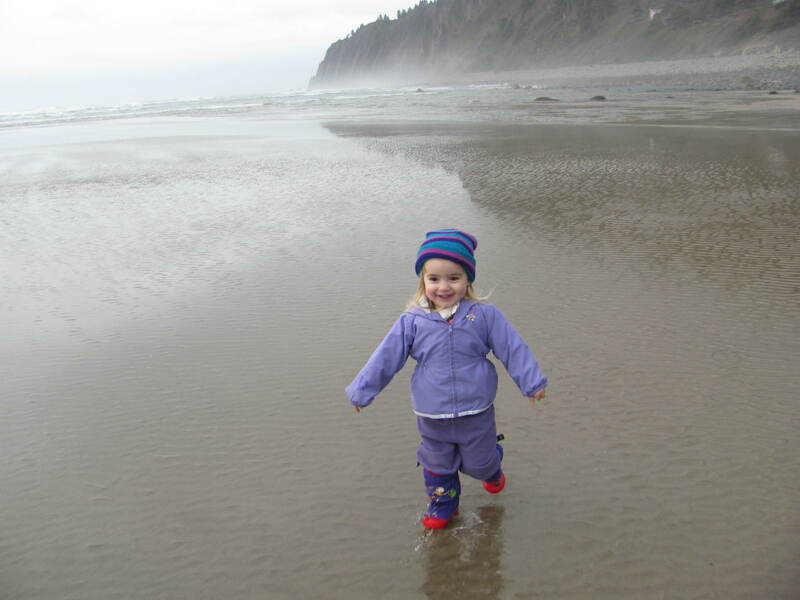 If you’re interested in getting a pair of North American-made MyMayu toddler boots for your child, check out all the different styles ($39.95-$48.95), as well as liners in 5 colors ($16.95). You can order some combinations together, too ($57.95). 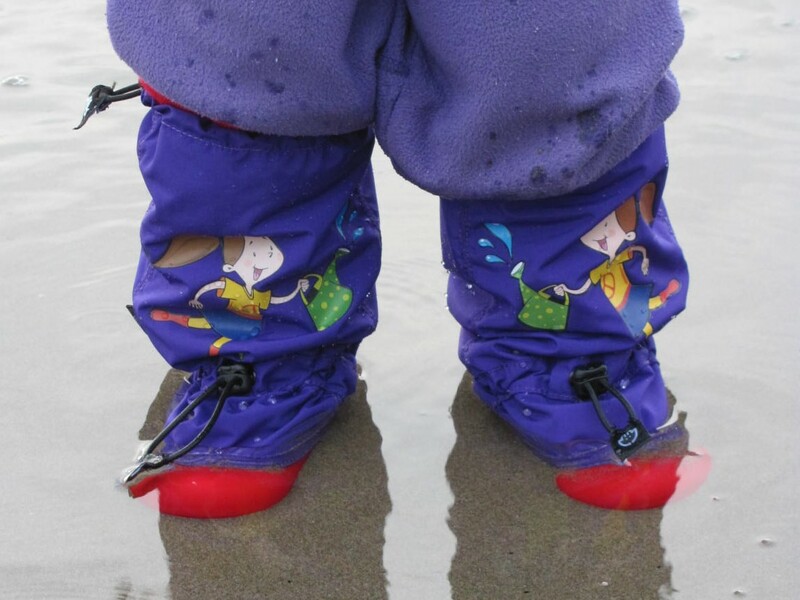 This spring, MyMayu will introduce Play boots (for all sorts of play activities) and Aqua boots (for older kids). 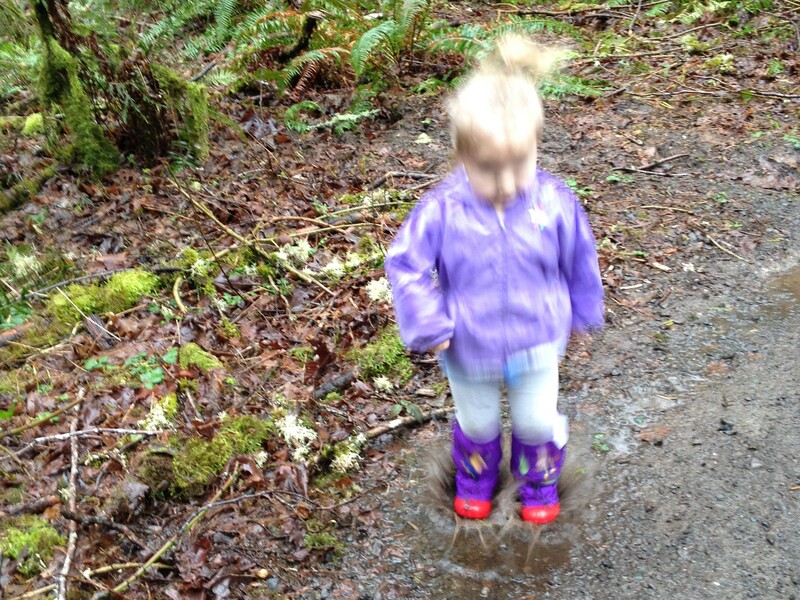 And here’s a blurry puddle jumpin’ photo! Too nice! I’ll search for my little daughter!